Sky to offer free broadband to Sky Sports customers | What Hi-Fi? Sky is to offer free broadband to Sky Sports customers – a retaliatory move in response to BT offering BT Sport free to its own broadband users. Sky is offering free broadband to anyone who signs up to Sky Sports 1, 2 and 3, regardless of their current broadband provider. Sign up to the deal and the new Sky Sports subscribers will receive one year's free unlimited broadband, with just the £14.50 line rental to pay each month. Customers can also choose to get six months of Sky Fibre Unlimited for free, a saving of £20 per month. The move is no doubt Sky's answer to BT's latest broadband deal in conjunction with the new BT Sport channels, which are set to launch next season. BT Sport will offer 38 live Premier League games. Sky, who already have the rights to the majority of Premier League games (116 per season), are now offering the same deal but in reverse -– offering free broadband to anyone who signs-up to Sky Sports. Stepen van Rooyen, managing director of Sky's marketing division, said: "Since we launched broadband in 2006, millions of customers have saved money and got a better service by switching to Sky. Now we're making it even more affordable to enjoy totally unlimited broadband. "For sports fans, there is no need to compromise on your TV service. 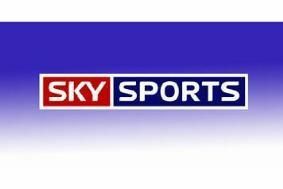 Sky Sports comes not only with an unrivalled range of live action, including more Barclays Premier League than ever, but the best deal for totally unlimited broadband as well." John Petter, BT's managing director of its consumer division, responded by saying: "BT Sport is the real game changer as Sky is still overcharging fans. While it is good that Sky have finally recognised how uncompetitive their prices are, it is still cheaper for sports fans to go with BT. "Some Sky customers will be paying a minimum of £72.25 a month including line rental. Given Sky have announced unspecified price hikes of up to 10 per cent, that figure could rise to £80. We are surprised Sky feels they can justify such high prices to hard-pressed families." BT and Sky paid a total of £3bn to land the rights to screen Premier League football for three years from August. Sky is paying £760m a year compared to BT's £246m.